Eastwood Design teamed up with Tower Software to develop this project for NSLPS. 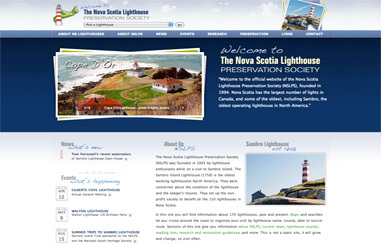 The project contains over 1900 pages with information on over 168 lighthouses in Nova Scotia. This is one of the worlds largest and informative websites on Lighthouses.